Impress your friends and intimidate your frenemies with rattlesnake meat. Canned Rattlesnake is a gift worth a thousand words. It’s also really tasty! 100% snake meat in a rich broth that you can eat straight out of the can, or over a bit of wild rice or pasta. 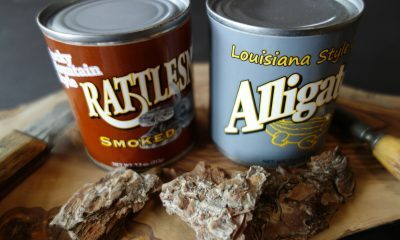 Each can contains 4 oz of Smoked Rattlesnake meat and 3.5 oz of seasoned broth. 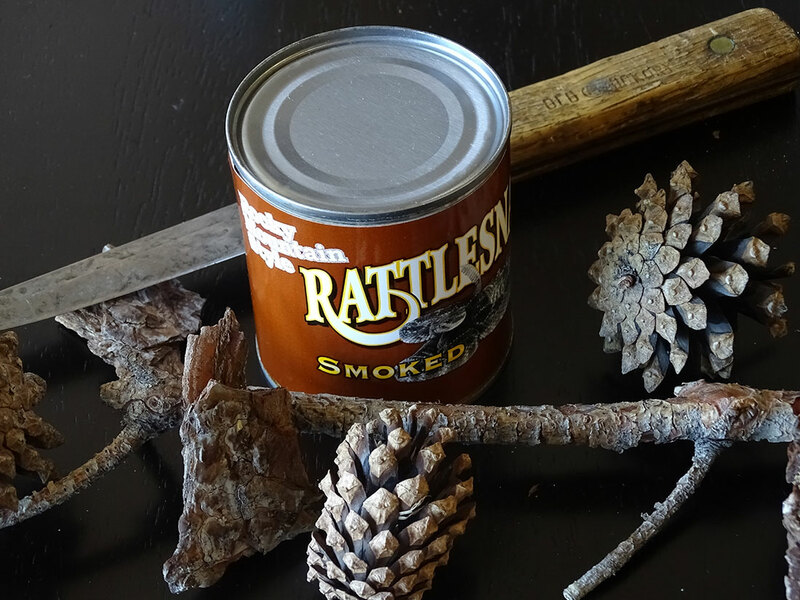 Smoked Rattlesnake is something you have to try to believe. Once you do, you’ll come back for more. This makes a terrific unusual gift or a fun donation to a potluck, game day, or any occasion. 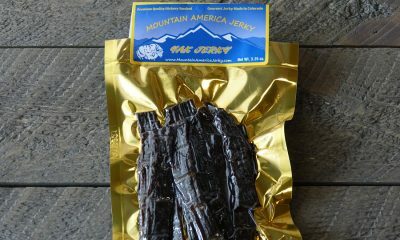 Mountain America’s rattlesnake meat NEVER fails to be the hit of dinner parties! Great over rice or in stew or chili. 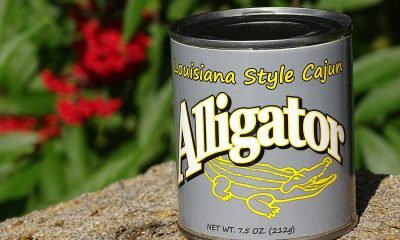 I’ve used it in spaghetti sauce and even tossed a can into a big dinner salad. Sooooooo good! Got this for the guys at Christmas and they loved it!! Tasted like smoked chicken they said. Fast shipping too! (Smoked Rattlesnake comment) Super fast shipping and the products look great! 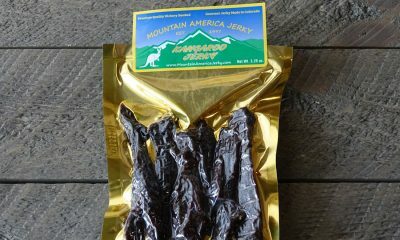 (I am sure that my husband will tear open the packages on Christmas morning to eat the jerky and rattlesnake meat-can’t wait to give it to him)! Thanks so much!